At just 14 oz, the comfort to weight ratio on the Therm-A-Rest Neo-Air mattress is in the thousands. 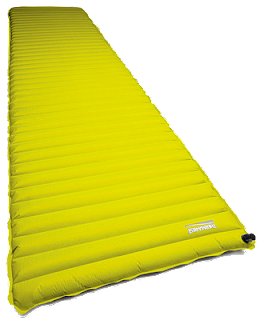 Granted, I have not tried many sleeping pads, but compared to the heavy self-inflating ones or the blue foam pads that have been around for centuries, this is one neon-yellow savior. When we reached our camp site in the Boundary Waters this last June, I unpacked the Neo-Air out of it's 1-liter sized case and unrolled it for the first time. I was impressed to find it completely inflated after only a few breaths. As according to the instructions, I stretched out on it with my head near the valve so I could let out just a bit of air to allow the mattress to form to my aching body, and holy smoke did it feel good. I thought to myself, "this is better than my bed at home!" Needless to say, I slept like a baby. My only issue was that though it wasn't wide enough for my body size (5'10", 175 lbs), if I didn't stay in place I'd use up the inch or two of wiggle-room before I'd be sliding off. On checking out Therm-A-Rest's website, it looks like you get 5 more inches of width (and 5 more of length too) with just 5 more ounces to carry if you get a Large one. This is something to keep in mind if you're a bigger person or like the extra sleeping space and can afford to carry a few more ounces. Also, when reading other reviews it seems that these may have a tendency to develop very small leaks when used dozens of times, but that Therm-A-Rest is happy to patch/replace them as this occurs. Since I only used the Neo-Air for a few days, I can't speak to that. Finally, this is an awesome sleeping pad. 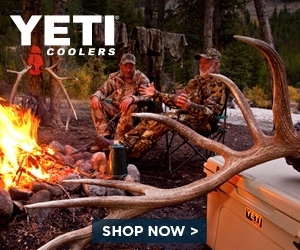 I'm considering getting my wife and I each one once it cools down here in the Midwest so we can do some Fall camping. If you're someone who, like me, found the absolute worst part of camping to be the stiff neck and sore back when you wake up in the morning, problem solved with the Neo-Air mattress and a good pillow.